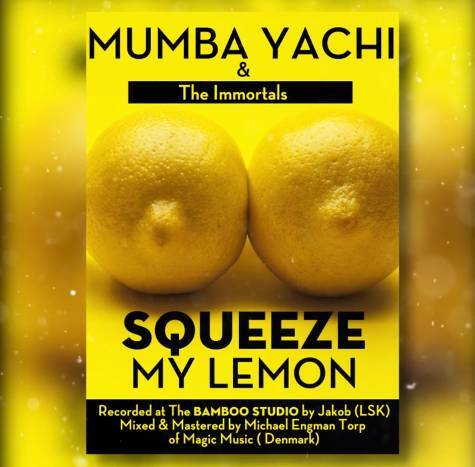 Zambia’s leading folk music act – Mumba Yachi alongside The Immortals premier the much anticipated song “Squeeze My Lemon (Sugar Mama)“. Mumba Yachi brings his unique folk sound on this lyrically catchy performance. Squeeze my Lemon (Sugar Mama) was recorded at Bamboo Studio by Jacob. It was mixed and mastered by Micheal Engman Torp of Denmark’s Magic Music.